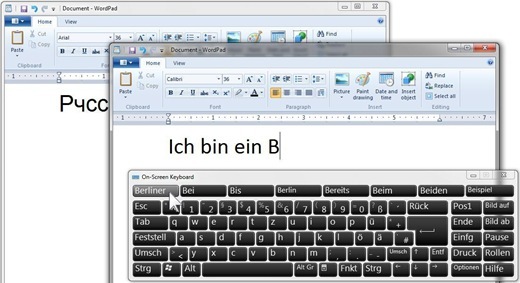 The Windows 7 On-Screen Keyboard is very versatile and loaded with features. 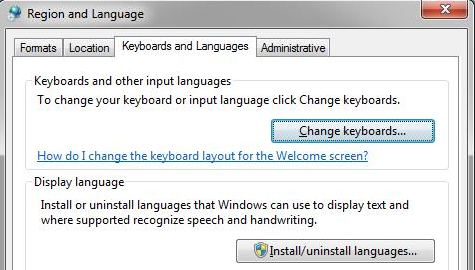 To change language support just press Left-Alt+Shift – if the keyboard is configured. 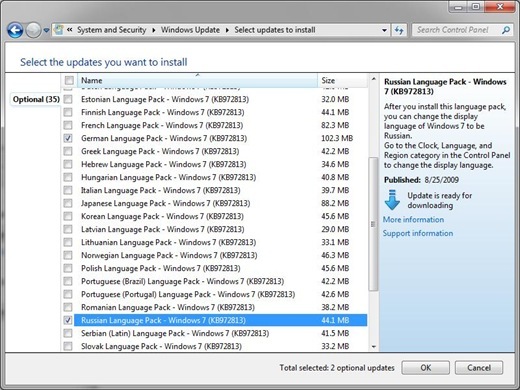 Before we start on that, you may wish to install language support to bring in other features. For that see How do I install a display language? A long list of languages will be shown. Find the language you wish to install. Click on the + in front of the entry to expand the list. Similarly expand Keyboard. 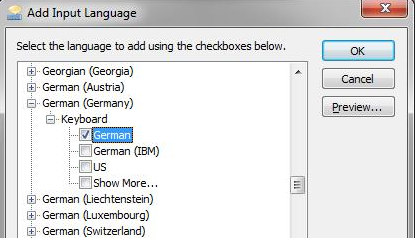 Select the keyboard language from the last options, make sure the box is checked. 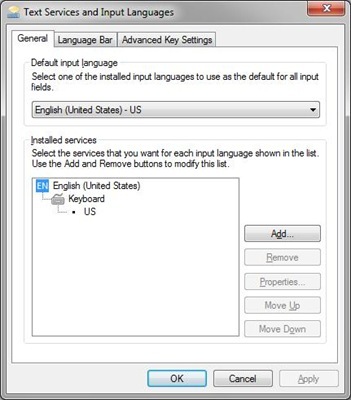 Then click OK. You can now see the installed languages in the Text Services and Input Languages window. You are all set. The keyboard language in use can be seen at the right end of the Taskbar. In the illustration here the current language is RU – Russian. To switch to another language press Left-Alt+Shift. On successive presses this will cycle through the available languages (that are set up as described above). NOTE: Make the keyboard selection when an application using keyboard input is open. You can make a different selection in another application. The keyboard selection is “sticky” – switching to the other application will also switch the keyboard selected in that application. This makes working in different languages really easy. When the Language Pack is installed for a supported language, the On-Screen Keyboard offers a very nice feature: auto-complete options. Not all languages are supported in this way. English is, so is German. Auto-complete is not supported for Russian. In this illustration two instances of WordPad are running (hold down the Shift key when selecting a program to open another instance). The keyboard was set for Russian in one and German in the other. Note the auto-complete option offered above the normal keys. The selection is refined as additional letters are selected. Auto-complete is not active when using the hardware keyboard, it only works with the On-Screen Keyboard.